Up next from the Revolucion crew comes the highly anticipated label debut release 'Meltin Safari' from Belfast based duo John Manning and Ciaran Duffy better known as the highly talented Brisboys. Kicking off with the deep tech sounds of the 'Original Mix' with it's deep driving drums and chunky bass making it perfect for raising the heat on the dancefloor. 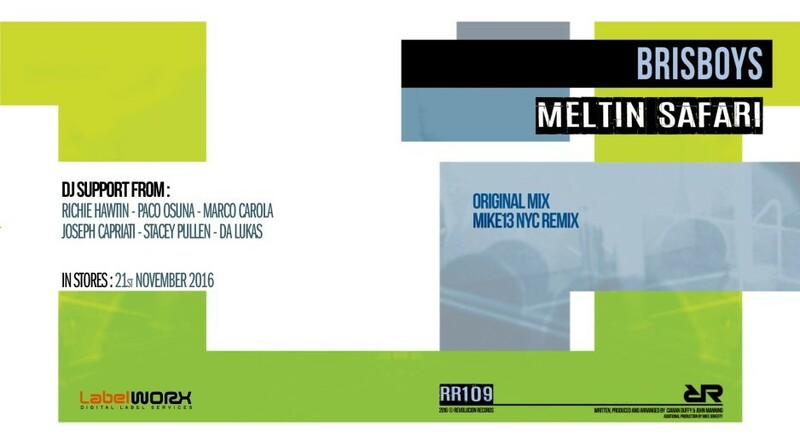 Rounding things off with the welcome return of Revolucion's very own Mike13 to remix duty with his New York influenced bass driven 'NYC Remix' which just builds and builds and builds throughout to great effect.